Honda Manufacturing of Indiana, LLC (HMIN) today announced that it will be the exclusive manufacturer of the Acura ILX, an all-new luxury sedan going into mass production in Indiana in the spring of 2012. The new Acura ILX sedan will be positioned at the gateway to the Acura lineup and will be offered with both gasoline and gas-electric hybrid powertrain options. The new Acura ILX will be Acura's first-ever hybrid model, as well as the first Acura model to be produced in Indiana. "Building this all-new Acura vehicle as the exclusive global source is a big responsibility for our associates," said HMIN President Jun Nishimoto. "I am very proud of what our Indiana team has accomplished in such a short time, and we have great confidence in our ability to produce a world-class luxury vehicle that exceeds the expectations of Acura customers. "The Acura ILX will join the TL sedan, ZDX crossover vehicle, and the MDX and RDX sport-utility vehicles as the fifth Acura model produced exclusively in North America. Acura finished second among all luxury brands in the J.D. Power and Associates' 2011 Initial Quality Study.HMIN was recognized earlier this year for its outstanding quality as one of only three automobile plants globally to earn a Platinum Award for outstanding quality based on the results of J.D. Power and Associates' 2011 Initial Quality Survey? (IQS). The plant recently added nearly 1,000 associates to support the move to two-shift production, which started on Oct. 24, 2011, doubling the plant's capacity to 200,000 vehicles per year. 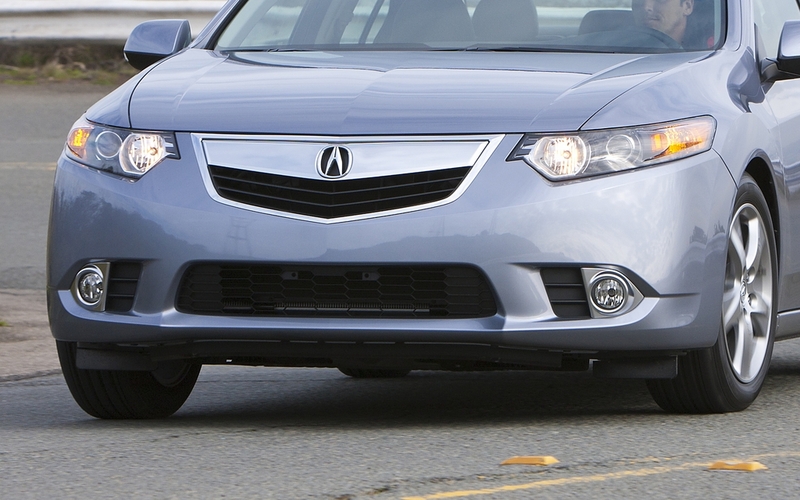 The Acura ILX will be the first hybrid vehicle to be made in America at a Honda plant. Gasoline engines for the new Acura ILX will be produced at the Anna, Ohio, engine plant of Honda of America Mfg., Inc.Acura will unveil a concept version of the new ILX sedan at the 2012 North American International Auto Show (NAIAS) in Detroit during media preview days, Jan. 9-10, 2012. Acura also will debut a new RDX sport-utility vehicle and a concept version of the next-generation Acura NSX supercar at the show, as it moves to further strengthen its product lineup with new products, new technologies and a sharper brand focus.About HMINHonda Manufacturing Indiana, LLC (HMIN) in Greensburg, Ind., began operations with production of Civic Sedans in October 2008. HMIN added production of Honda's natural gas-powered Civic Sedan in May 2009, and began producing Civic for export to markets outside North America in September 2009. With employment of approximately 2,000 associates and capital investment exceeding $550 million, HMIN started operations as a zero-waste-to-landfill factory, meaning no waste is sent to landfills, and maintains one of the lowest environmental footprints of any automobile plant in Honda's global production network.About Honda in AmericaNext year, Honda will celebrate 30 years of producing automobiles in America. Based on Honda's longstanding commitment to build products close to the customer, Honda currently operates 14 manufacturing facilities in North America, producing a wide range of Honda and Acura automobiles, automobile engines and automatic transmissions, Honda all-terrain vehicles, and Honda power equipment products, such as lawn mowers, mini-tillers and general purpose engines. Honda products are made in North America using domestic and globally sourced parts.Today, the company has four auto plants in the U.S. and seven in North America with a new auto plant under construction in Celaya, Mexico, which will begin producing subcompact cars in 2014. Honda's total automobile production capacity in the region, currently at 1.63 million vehicles per year, will grow to more than 1.87 million vehicles annually in 2014. In 2010, more than 87 percent of the Honda and Acura products sold in the U.S. were built in North America, using domestic and globally sourced parts.